I woke hubby up at 4 am, and continued to labour at home, getting in and out of the shower, finding a comfortable position on the bed, listening to my tracks and music, and having some naps in between. My waters broke at home and it was time to get to the hospital. Got to the hospital at around 6 pm. Didn't even need to be assessed, as the midwives determined just by looking at me that I was far enough along to be admitted. Got placed in the birth suite, hubby got out his cheat sheet and helped me settle in. I was able to get in the water pool and requested some gas and air to take the edge off my surges. After a couple of hours in the pool, I needed a change in scene and the midwives wanted to reassess me. Whilst in the pool the midwives had been keeping an eye on things using a waterproof doppler and taking my pulse. I got on the bed, got comfortable and that is where I stayed until bubs was born. My Husband kept me comfortable with cool face towels and just being overall calm, reassuring and positive. 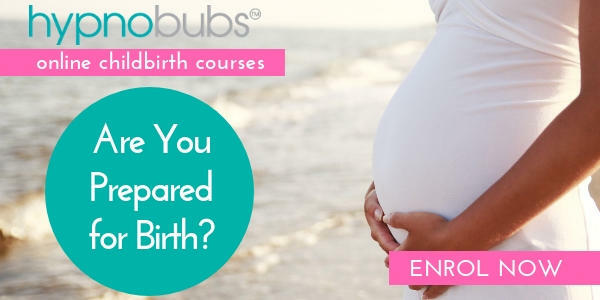 Towards the very end, bubs heart was dropping slightly with each surge; I received an episiotomy, and two or three pushes after that bub arrived. As things were wrapping up, the nurse and midwives made comments about how well I had done for my first labour; how relaxed I was and took what came in my stride. Baby is now two months old; family and friends comment on how content he is, happy and chilled out. Both me and hubby believe that he is this way because of the way he came into the world. 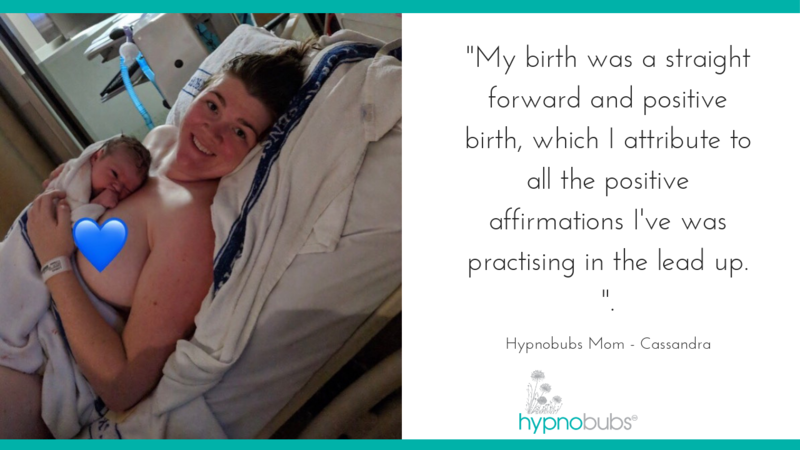 I recommend to anyone that is pregnant to look into hypnobirthing, as we had such a positive experience.